In Washington, D.C., the biggest sports controversy day-in and day-out is whether 2011 Heisman Trophy winner Robert Griffin III should start at quarterback for the local NFL franchise owned by Internet media mogul Dan Snyder. 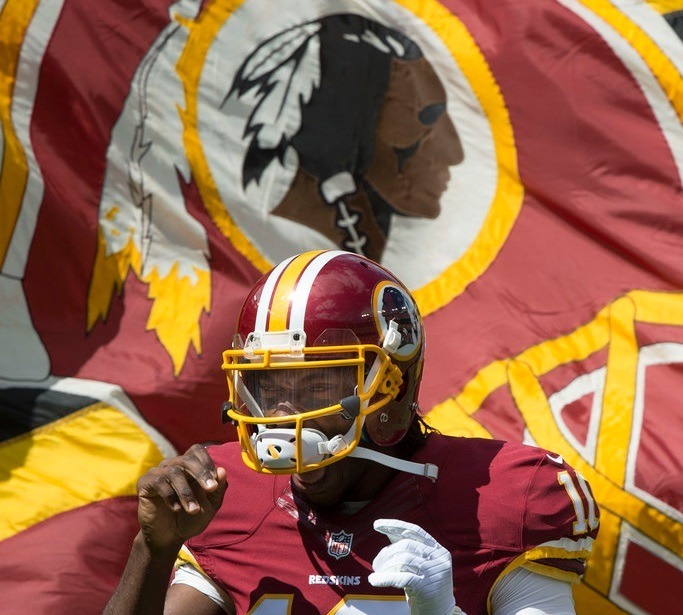 For most Washingtonians, the fate of RGIII is sadly more important than the racial slur that the team wears as its name and moniker despite the protests of Native American organizations across the nation. But now, certainly without intending to, Griffin has become a bit player in the racial name controversy. Ray Halbritter, the leader of the Oneida Nation, which has been in the forefront of Native American groups fighting with Snyder and the NFL over the name of the Washington DC franchise, hailed the Adidas decision as a “tremendous display of corporate leadership.” In a written statement, Halbritter, joined by Jackie Pata of the National Congress of American Indians, said that Adidas had raised the bar for other corporations on issues of inclusivity and cultural respect. Snyder, of course, is having none of it. Despite strong recommendations from the American Psychological Association and the American Sociological Association that racially disparaging teams like the one he uses for his NFL franchise in Washington have negative effects on native and non-native populations, Snyder believes he knows better. In a filing to defend his team’s exclusive trademark of the R-word, Snyder’s team challenged the ruling of the U.S. Patent and Trademark Office by submitting a list of other disparaging epithets that the PTO has approved as trademarks. Our personal favorite in the list was “Boys are stupid, throw rocks at them” wallets. Unlike the Washington NFL team name, none of the names on the list submitted by Snyder’s representatives are known to be the trademarks of billion-dollar companies like Snyder’s Washington, D.C. franchise. The list seems to be the equivalent of saying, “Plenty of people say bad things, so our use of a racially disparaging epithet about Native Americans is OK, too,” a strategy that Esquire magazine described as “a brilliant legal strategy borrowed from middle school: point fingers at everyone else.” As a matter of history and culture, Snyder’s demeaning approach to the use of the R-word is not much different than the position of those who think the N-word’s racially charged meaning is a thing of the past. Two Supreme Court decisions last week upheld free speech rights, one on offensive speech and the other on Internet access.